With key screen industry executives as guest speakers heading to Byron Bay this week from Matchbox Pictures, Freshwater Pictures, Screen Producers Australia, Fulcrum Media Finance, Film Finances Australiasia, Moneypenny Services and Galvaniize Insurance, in addition to numerous other local speakers, it isn’t surprising that Screenworks’ “The Business of Producing” event only has a handful of tickets left for sale and has attracted attendees from Gladstone to Glebe. It is the type of response that Screenworks believes demonstrates the importance of providing ongoing support and opportunities to emerging and professional filmmakers in Australia. Some of Australia’s most accomplished screen producers will be presenting the 2-day Business Of Producing seminar which has been designed to increase the production skills of emerging and professional filmmakers with a view to increasing screen production opportunities, particularly in regional Australia. When developing the event, Screenworks had expected event attendance to peak at approximately 70 people – the event is now expected to sell-out and attract over 100 people a day. When asked why he thought that the event had attracted such a large response, Screenworks General Manager Ken Crouch explained “ we believe that as a result of the closure of Metro Screen last year and QPIX in 2014, there is now a significant lack of professional development support and opportunities for emerging and professional filmmakers along the Eastern Coast of Australia. So much so, that filmmakers are now choosing to travel to our region to experience and take advantage of the unique and highly regarded events and programs that we are delivering in regional Australia. “For this specific event we have seen an increased number of people travelling from Sydney, the Central Coast, Brisbane and South East Queensland. We have also seen an increased number coming from across Northern NSW,” explained Mr Crouch. 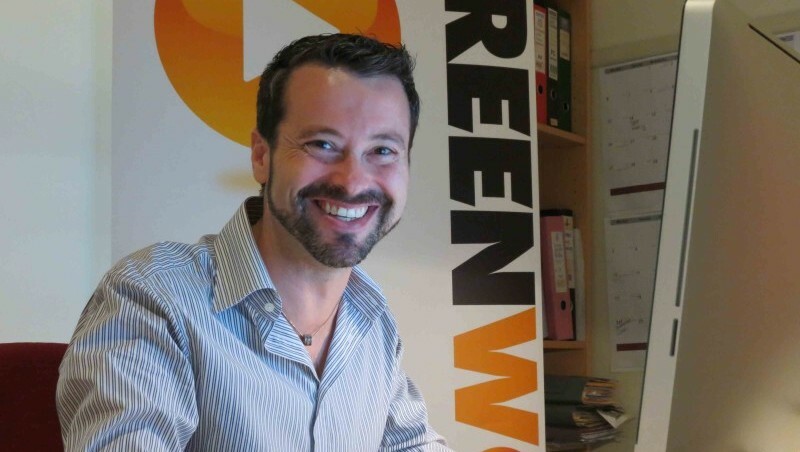 A lack of professional development opportunities for emerging filmmakers in Australia has recently been identified by Screenworks board and staff, who believe that Screenworks’ can broaden future operations and also provide growth opportunities for the Bangalow-based not-for-profit organisation. “We have already initiated numerous discussions both internally and with other industry organisations to explore how we can work together to make sure that we continue to meet the needs of our local screen industry, in addition to providing the much sought after support for emerging and professional screen workers that live beyond our traditional geographical borders” said Mr Crouch. We have also received support from Screen Australia to film our events which assists us in getting our professional development content Australia wide. Screenworks’ filmed events are available as webisodes on Screenworks Youtube Channel, Screenworks on Demand. Guest speakers at this week’s intensive seminar include Helen Panckhurst, the Head of Production at Matchbox Pictures, award-winning documentary producer Trish Lake from Freshwater Pictures, Senior Development and Production Executive at Screen NSW – Mark Hamlyn and the CEO of Screen Producers Association – Matthew Deaner. Along with these visiting producers, a strong line up of local screen industry professionals will talk about their successes and advise on living regionally and doing business nationally and internationally, including Lois Randall (Gods of Wheat Street), Dana Michell – Series Producer for ITV studios, and Victoria Baldock CEO of Verve Entertainment. Also presenting will be representatives from key screen industry organisations to give participants an insight into critical factors that a producer needs to access. Representatives include the Managing Director of Fulcrum Media Finance – Sharon Menzies, the CEO of Moneypenny Services, – Jane Corden, founder of Galvaniize Insurance – David McEwan and Dan Read from Film Finances, will run workshops on production finance, risk management and accounting practices for screen production. The event is being supported by Screen NSW, Screen Australia, Media Super, Fulcrum Media Finance, Galvaniize Insurance, Screen Producers Australia, Magpie Pictures, SAE Institute Byron Bay, Apartments Inn Byron Bay, De Bortoli Wines, Stone & Wood Brewery and Byron Bay Coffee Company.